The Rally San Marino (14th to 16th July) was both the sixth round of the Italian Rally Championship (CIR) and the third round of the Italian Gravel Rally Championship (CIRT). 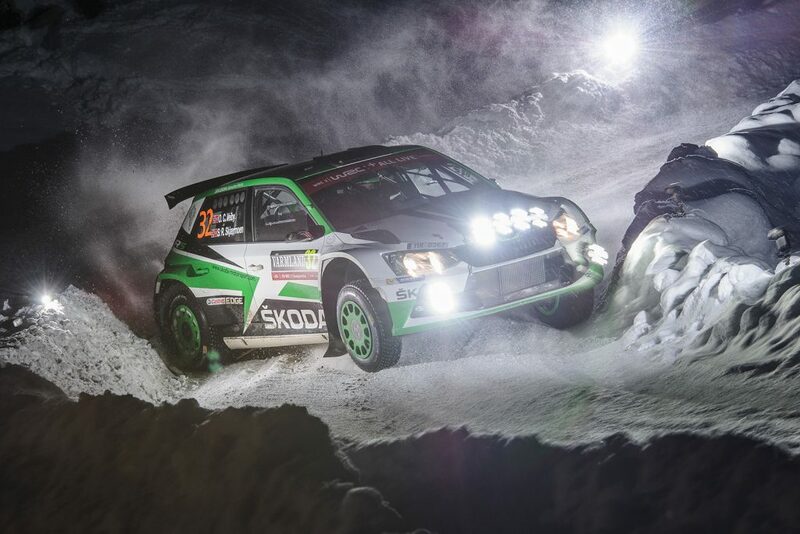 The rally consisted of 14 special stages and 125 kilometres of competitive distance and it proved to be a hugely successful event for the crew of Umberto Scandola / Guido D’Amore, who were driving for the ŠKODA Italia Motorsport team, in a ŠKODA FABIA R5 prepared and run by the Car Racing team. They led from start to finish after a fantastic start which saw them winning all of the opening five stages. 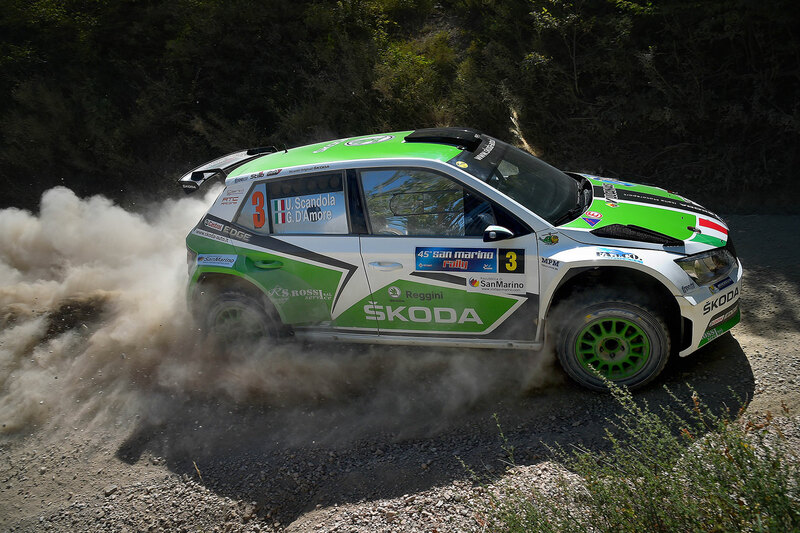 With the first leg consisting of ten short, fast and slippery stages, they then worked to maintain their lead and ensure full points for the opening leg (points are scored for the results of each leg as well as for the overall result in the Italian championship). They ended up just 5 seconds ahead at the end of the day, so there was still plenty of work to do during the second leg. 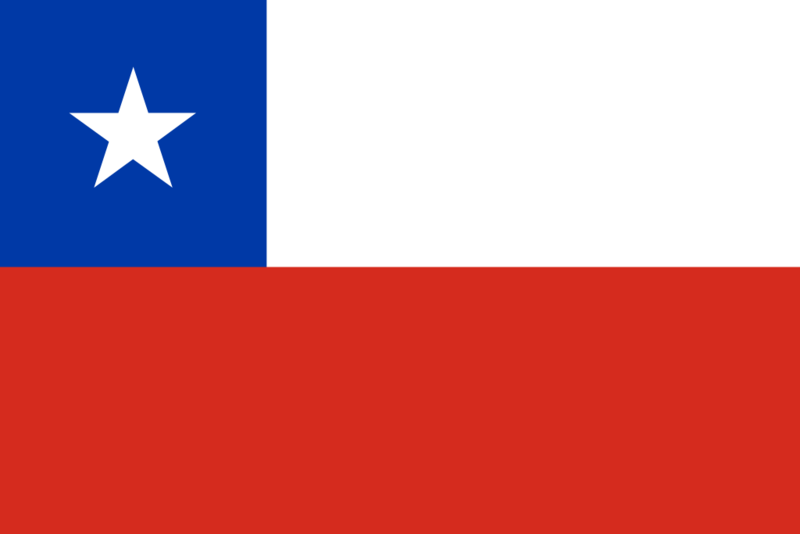 But two stage wins and two second places over the four longer special stages ensured that they won the second leg too. The margin of victory was much more comfortable too after the retirement of Simone Campedelli, who had pulled level with Scandola at the top of the overall standings but crashed out on SS12. Scandola ended up claiming overall victory by a margin of 2 minutes and 25 seconds, to secure his second win of the season, but that doesn’t tell the whole story of what was a hard-fought victory. The result means Scandola now sits in third place in the overall championship standings, just 16.5 points behind the leader, with two events remaining. 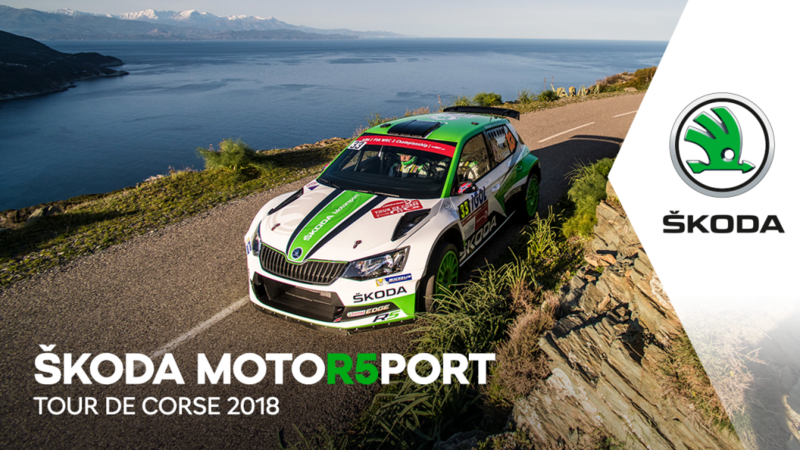 Further down the field, Luca Hoelbling / Mauro Grassi, driving for the Movisport team in a FABIA R5 also prepared and run by Car Racing, finished in fifth place overall, which is Hoelbling’s best result of the season, as well as his best result ever at the Rally San Marino. But more importantly for the season, they also ended up second in the CIRT standings. This championship is Hoelbling’s priority for this season. The next round of the Italian Rally Championship will be the Rally di Roma Capitale on the 16th and 17th September. The AutoGlym Ralli (15th July) is a Finnish rally used by many drivers and teams as preparation for the upcoming WRC Rally Finland. And so it proved this year, as a high-quality field competed over 8 stages and 110 kilometres. 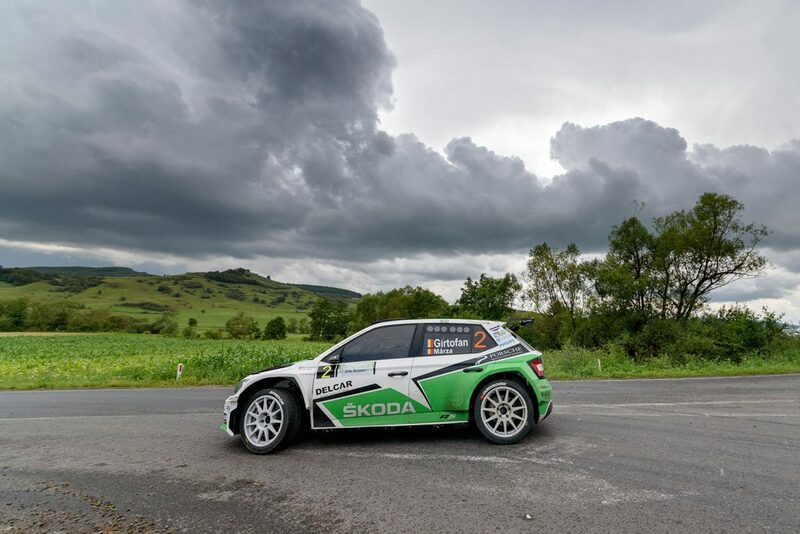 For Ole Christian Veiby, the winner of the last round of the WRC2 championship at the Rally Poland, this rally was vital preparation and once again he kept his good form going. 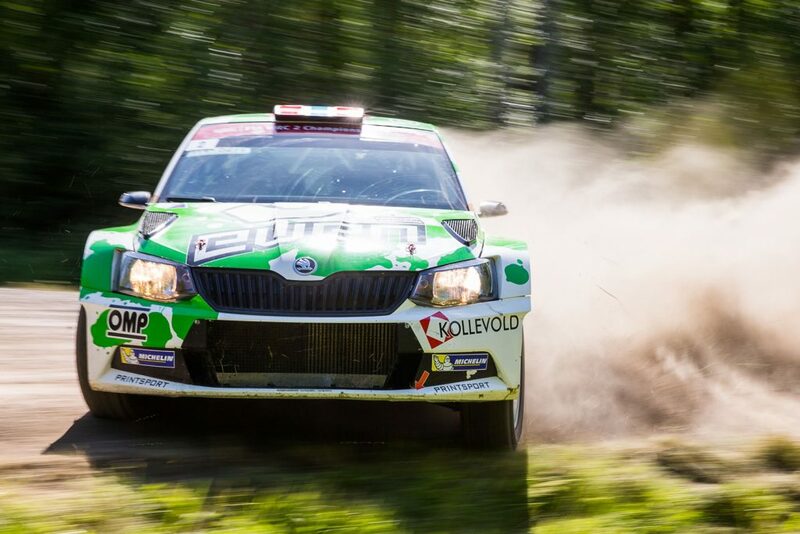 Alongside his regular co-driver Stig Rune Skjærmoen, Veiby finished second overall but won in the R5 class in the FABIA R5 prepared and run by the Printsport Oy team. In the overall standings he finished just 1 minute and 38 seconds behind the experienced World Rally Championship driver Thierry Neuville, who was driving a more powerful World Rally Car. 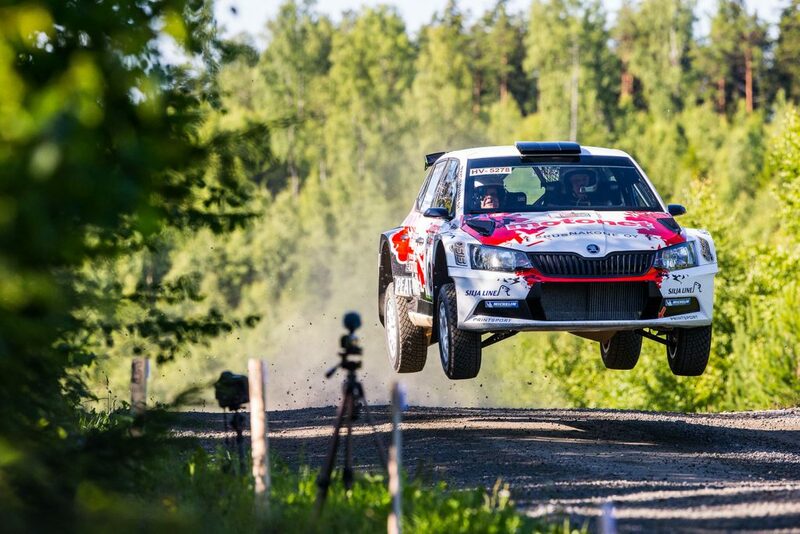 "This was a very good ‘test’ ahead of the Rally Finland,” said Ole Christian Veiby afterwards. 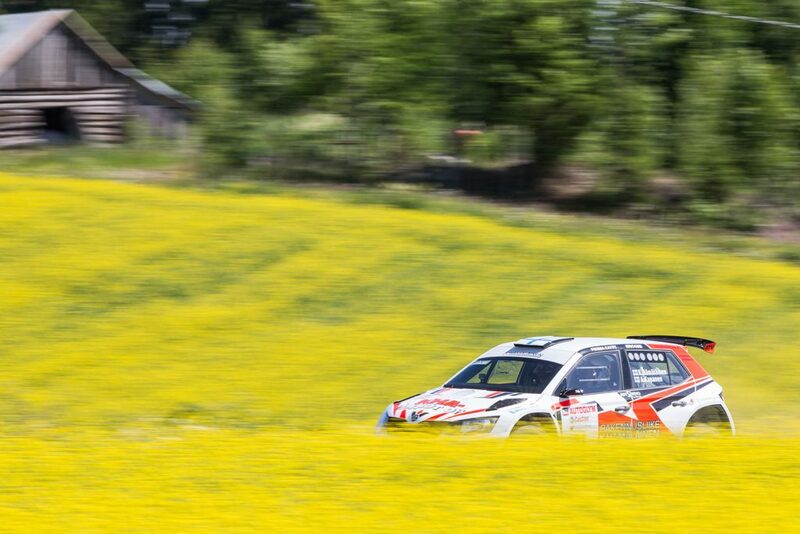 “We got a taste of fast stages and jumps as well as a reminder as to how slippery and tricky the Finnish stages can be. It feels great to be the fastest car in the R5 class, and second overall. 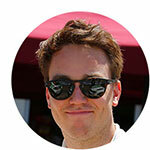 We also kept speed with Thierry Neuville, which gives us an extra boost. I'm now really looking forward to taking on the Rally Finland!" 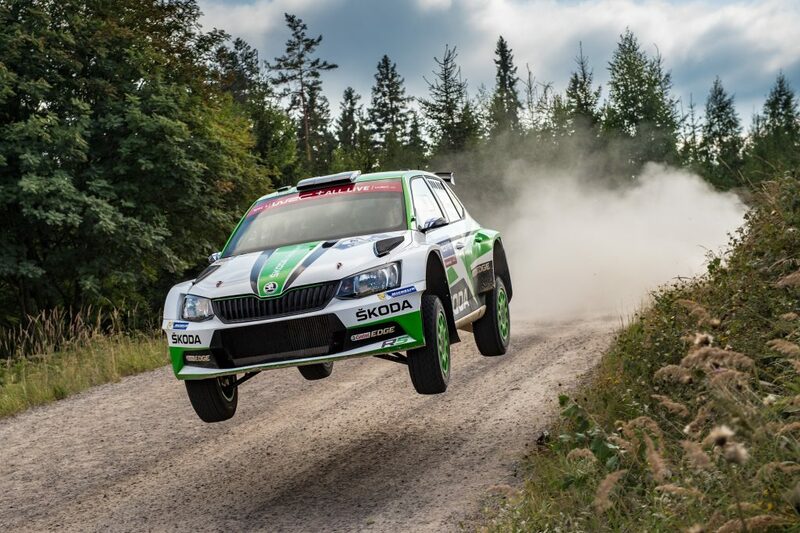 There were two other FABIA R5s, both run by the Printsport Oy team, which finished inside the top 10, with Kari Hämäläinen / Arto Kapanen finishing sixth overall and fourth in the R5 standings and Marko Mänty / Joni Mäkelä one place behind them in seventh overall and fifth in the R5 class. It was Hämäläinen’s first ever drive in a FABIA R5. Mänty currently sits third in the Finnish Rally Championship standings. He impressed at the start of this rally, leading the R5 class for the opening three stages before losing more than four minutes on SS6. There were also other notable performances from Jari Huttunen and Juuso Nordgren. 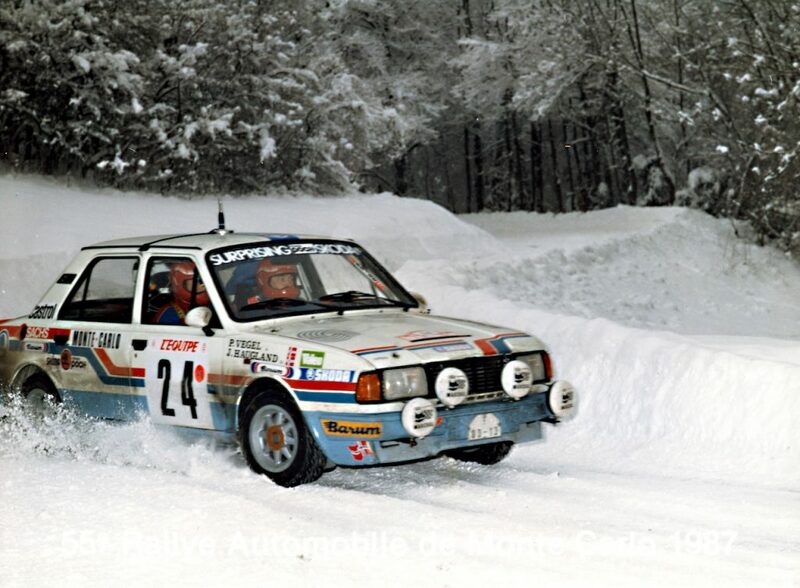 Huttunen, who along with co-driver Antti Linnaketo was another Printsport Oy driver, sat second in class over the opening three stages and even led between stages 4 and 6 before a crash on stage 7 forced him into retirement. But at the age of just 23, and making his debut drive in an R5 car, it was an impressive performance and it is little wonder he is an ERC Junior U-27 Championship front-runner. He is undoubtedly another young Finnish talent to watch. But so too is Juuso Nordgren. 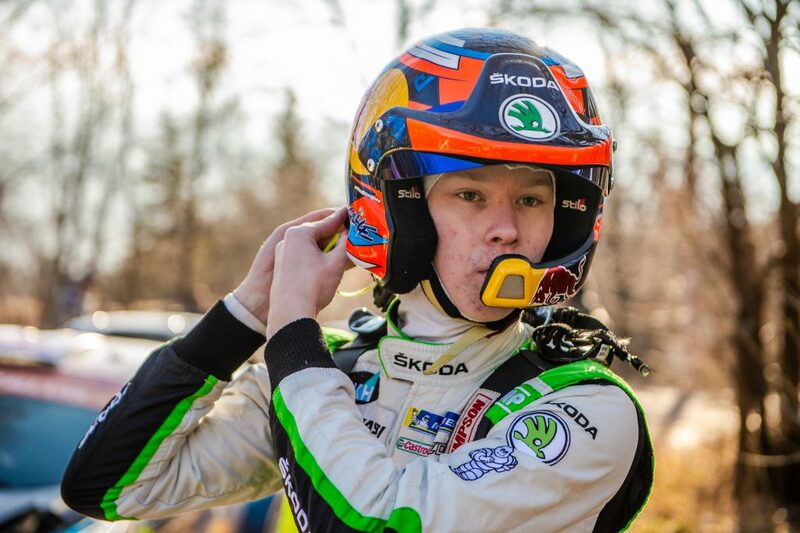 He is two years younger than Huttunen, 21 years old, but has already impressed in his three previous drives in a FABIA R5, with two second place finishes in the Finnish Rally Championship under his belt already. He impressed here too driving for the TGS Worldwide OU team alongside co-driver Mikael Korhonen. After Huttunen’s retirement, he assumed second place in the R5 class standings until succumbing to a heavy crash on the final stage. Both Huttunen and Nordgren are entered into the WRC Rally Finland and it will be interesting to see how they deal with the biggest rally on the Finnish calendar. 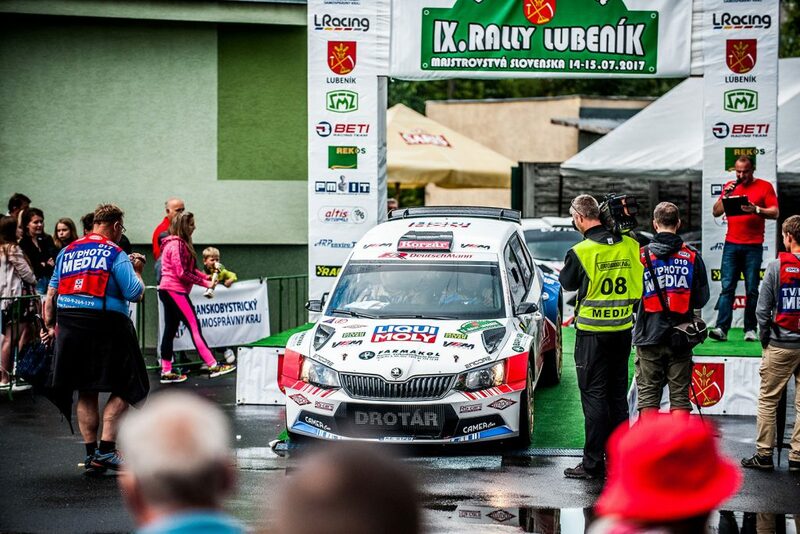 Igor Drotár / Tomáš Plachý finished in sixth place overall at the Rally Lubeník for the Drotár Autošport team, while there was disappointment for Grzegorz Grzyb / Jakub Wróbel, driving for the Rufa Sport team. Grzyb had won five of the previous eight editions of this rally, but this time he was forced to retire after SS2. 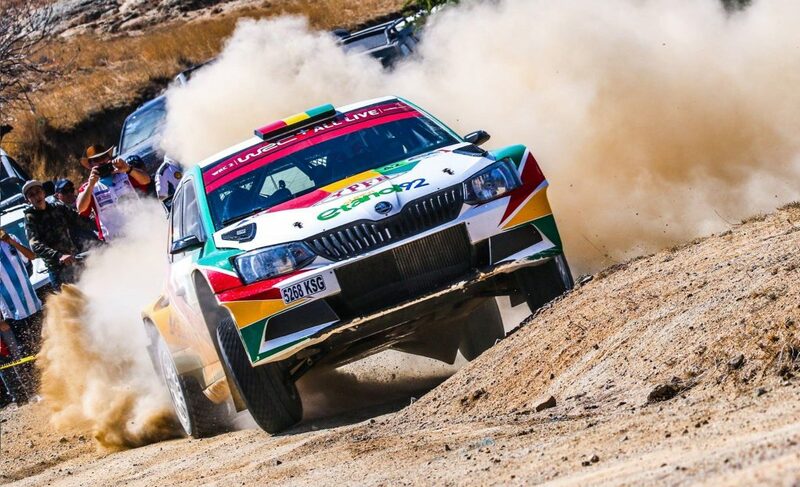 Just over a minute further back, in third place overall was the FABIA R5 of Hungarians Dávid Botka / Ramón Ferencz, who had led for the opening three stages. Botka, who is a regular in the FIA European Rally Championship (ERC), was making his debut drive in the car which was only bought a few weeks ago, so will be happy with the result. 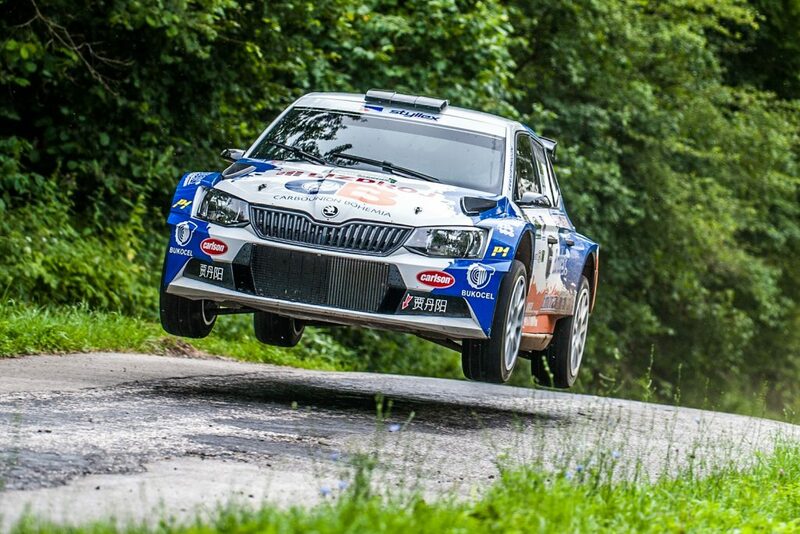 Meanwhile, fellow Hungarians Zsolt Marozsi / Péter Mihalik finished in eight place overall in what was also their first rally in a FABIA R5. 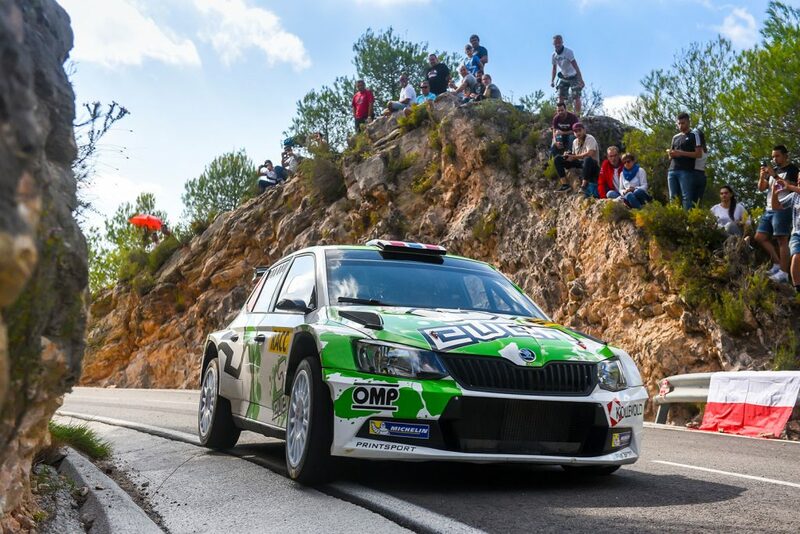 There was another great result for the FABIA R5 in the French Rally Cup, where Nicolas Hernandez / Alexia Desnoyer took victory at the Rallye Régional Le Mans. 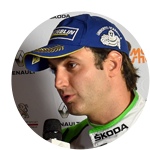 They finished 21.1 seconds clear of the field in what was Hernandez’s second win in a FABIA R5 after success earlier this year at the Rallye Régional du Printemps de Bords.